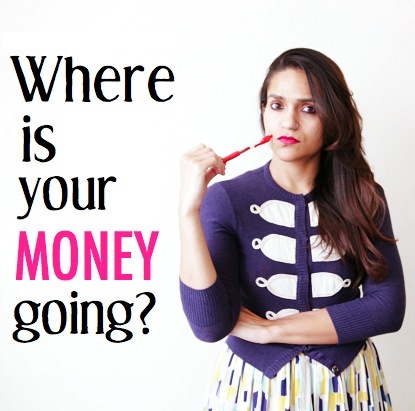 I get asked about 'money' and my spending habits often by my readers. To be really honest it makes me uncomfortable talking about money and my purchases with people who are not my parents. But after several requests I realized I could talk about it without getting too personal. As mentioned before, I am a save-a-holic and I like my money where I can see it, i.e. in a bank! I was brought up with a 'saving' mentality. Most of the times I would save 100% of my pocket money (in a bank aka with Mom!) and secretly ask my Dad to give me extra cash for my every day expenses. I thought I was being super-smart. Well, I was. Just not in a very practical way. Nonetheless, I can vouch for the fact that I have never been in a financial pickle that I couldn't get my self out of without any outside help. This post is about how to plan your household finances: Budgeting. In other words, spending with a constructive plan.